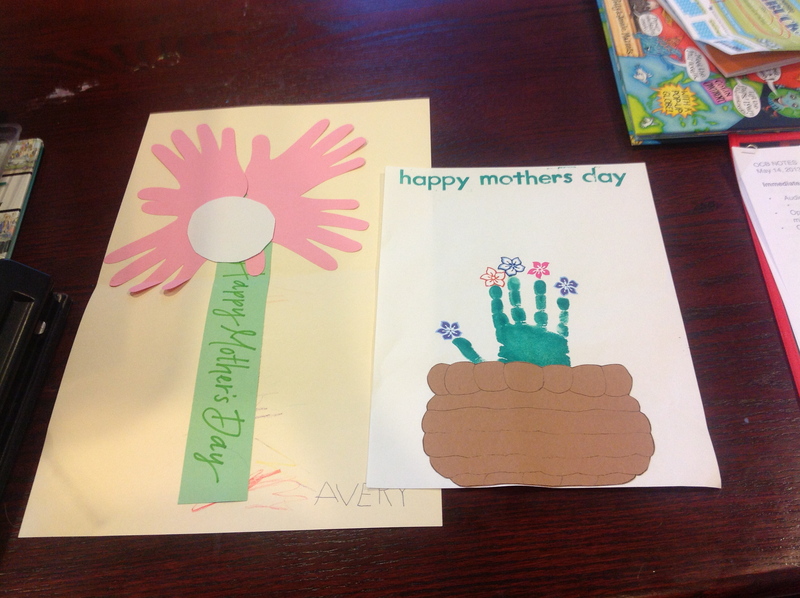 Avery’s Mother’s Day contributions from his two schools. ECSE on the left, and Goddard on the right. I think it is funny that they are both handprints made into flowers. Avery went to Goddard and was observed by Patty from ECSE. I am sure she will have more to tell me at our meeting on Friday, but she gave the teacher this. It is the most feedback I have ever gotten from anyone at ECSE. Naim and I read the “Sheep” book in DER. They did the workbook pages. We played addition and subtraction bingo. I am so sick of working on addition and subtraction facts, but its gotta be done. Naim did a story review for lesson 15 in HOP and read several stories to me. Aaron did the game and review words for the end of Unit 3 in HOP. They watched BrainPop abouuuuuut…….I CAN’T REMEMBER! Naim went to Drama and Aaron went to Art. He was asked by the art teacher not to be so rude. It pissed me off. He is not going to go to art next week. I might ask to see if Naim can try out a class if he wants to.